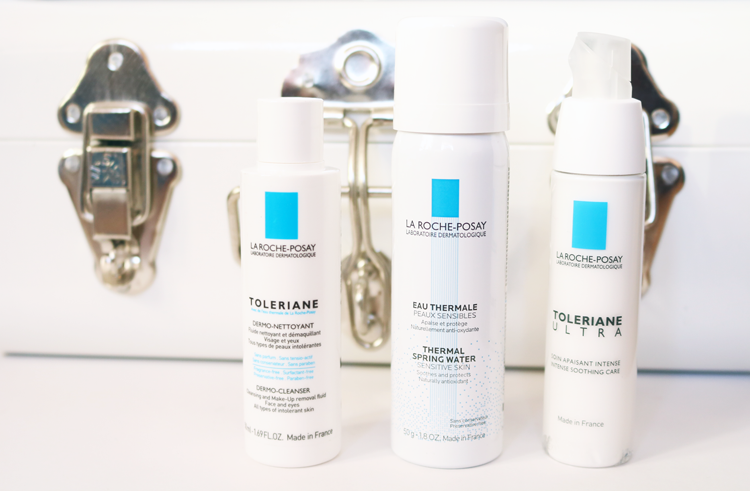 French skincare favourites, La Roche-Posay, have a special range for sensitive skin called Toleriane and back in October they released a new 3-Step System. My skin is often very temperamental and especially during the Winter months, it becomes a lot more sensitive and easily irritated, so I thought I'd try it out. Although everyone's skin is different, and reacts to certain ingredients in either a positive or a negative way (or even a 'meh, this is OK I suppose' way), one thing a lot of skincare gurus and professional dermatologists usually agree upon is that sticking to a simple skincare routine can be very beneficial. However, when you're a beauty blogger or a consumer who loves to pick up new and exciting products and slap them straight onto your face as soon as you get home, the concept of 'simple' can be a very difficult one to actually put into practice. Sadly though, as fun as skincare shopping is, using too many products can upset and irritate your skin, especially if it's sensitive to start with. Which is where La Roche-Posay's Toleriane 3-Step System comes into play. The system has been developed by dermatologists to calm and rebalance sensitive skin, and it encourages customers to just stick with the three products, and not use anything else. Formulated with no preservatives, parabens, fragrance, alcohol, colourants or lanolin, it aims to be extra gentle and to help improve the skin's health overall, and the system has been awarded a 'Seal Of Approval' from Allergy UK. Quick disclaimer: I wouldn't say that my skin is 100% sensitive all of the time, however it can be quite delicate and troublesome, and often displays many of the typical symptoms of sensitivity such as redness, irritation, tightness and generally feeling 'not right'. With this in mind, I was attracted to this 3-Step System to see if I could see any changes, and also to give my skin a break from the multitude of products that I like to saturate it with. Dermo Cleanser is a lightweight, non-oily cleansing fluid which removes both make-up and impurities. It does both of these jobs well, though I would recommend using a dedicated eye makeup remover with it, if you like to wear stubborn or waterproof mascaras like I do. I love the light milky consistency and it's easy to remove, without leaving the skin stripped or with any residue on it. A good one to use for mornings and evenings. LRP's Thermal Spring Water is one of the brand's most famous products and it's one that I typically associate with the summer months and holidays in the sun. Essentially it's just 100% spring water in a pressurised can, so it feels lovely and refreshing when it's hot and humid outside, but it doesn't give me any noticeable skin care benefits. If your skin is oily and prone to breakouts, I'd suggest trying LRP's Serozinc instead, but sensitive skins will get on just fine with this as it doesn't contain any other ingredients that could upset it. It can be difficult to find a good moisturiser for sensitive skin, and Ultra is a great one to try. It contains Nerurosensine which is a targeted anti-inflammatory which is clinically proven to reduce skin reactivity, and it also has Thermal Spring Water, Glycerin and Shea Butter for nourishment, hydration and comfort. I really like this as I've found it useful for calming down a few patches of eczema that I tend to get every now and then on the top of my cheeks, and I've noticed that my skin has been looking a lot less red since using it. The cleanser and light moisturiser are really good, but for those with sensitive and dry skin, you may need to pick one of the other more hydrating moisturisers from the Toleriane range instead. I'm also still not sure on the Thermal Spring Water, and so I would want to swap that for a simple rosewater toner instead, but I would purchase the cleanser and moisturiser in the full sizes in the future. Do you have sensitive skin? 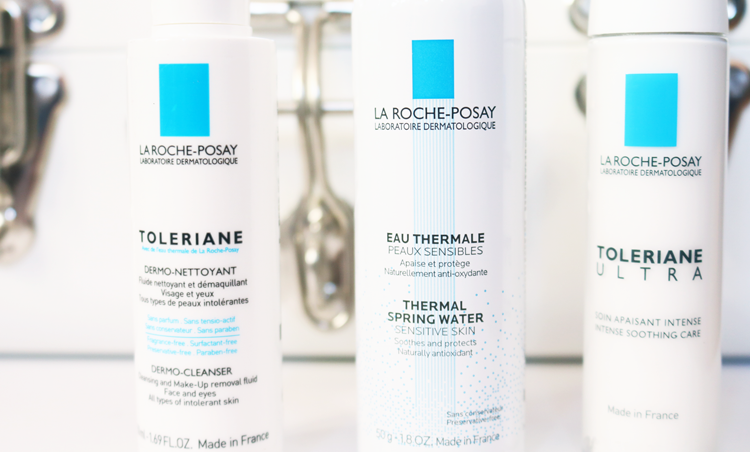 Have you tried anything from the Toleriane range? I'm on my fourth 200ml bottle of the cleanser so safe to say I love this range! Absolutely! So happy to hear it works for you too Jenny!